Week 14 of the NFL kicked off with a solid, playoff spot preserving performance by the Tennessee Titans against the Jacksonville Jaguars Thursday night. The postseason push presses on with NFL Regional Combine pioneers applying the pressure. CAN AUSTIN REITER STAND UP AGAINST RAVENS’ D? 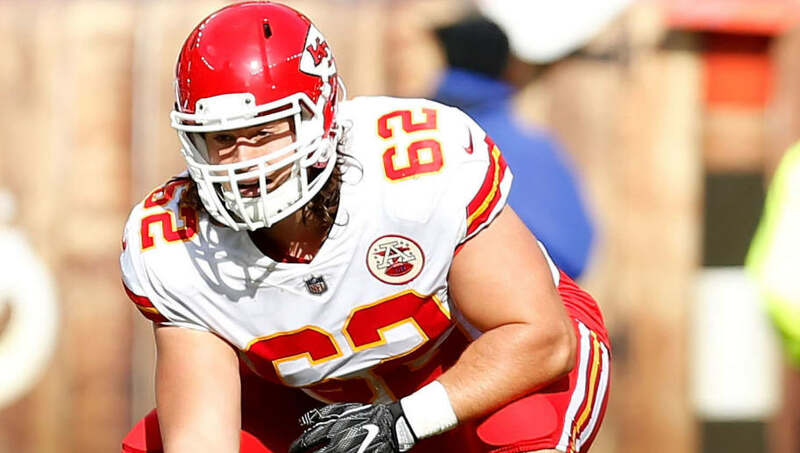 Kansas City Chiefs center Austin Reiter finally earned the opportunity to be the man in the middle. After a solid workout at the 2015 NFL Regional Combine trials, the Washington Redskins drafted him in the seventh round (222nd-overall). Reiter signed to their practice and remained there for a season until he inked a deal with Cleveland Browns. After spending two seasons with the Browns, where he played in 17 contests, including a start, they waived him following his recovery from a torn ACL at the end of training camp. The Chiefs claimed the South Florida standout off waivers and when center Mitch Morse was absent due to a concussion, Reiter made his mark in seven games, including four starts. Now, after being successful in some warm ups, Reiter will have the dream matchup that NFL centers dream to encounter in the league – the Baltimore Ravens front seven. The Ravens have the number one total defense in the NFL, where they are second against the pass and third against the run. Reiter must be on point in calling out the defensive schemes and protecting MVP candidate Patrick Mahomes. Reiter has been able to do so thus far, and Chiefs offensive coordinator Eric Bieniemy has no doubt that Reiter will continue until Morse returns. “Mitch (Morse) is working his way back in, but I will say I thought the kid Austin Reiter did a hell of a job,” said Bieniemy back on November 29, according to arrowheadpride.com. “He stepped up. The good thing is, sometimes without any bad luck, you wouldn’t have any good luck at all. He had an opportunity to step in and play and show that he can perform at a high level when needed. Should Reiter be successful against the Ravens, the Chiefs probably will be in good shape against the Los Angeles Chargers in Week 15. Sell wolf tickets can be fun, especially when they can be cashed in. Philadelphia Eagles linebacker Kamu Grugier-Hill called out the Dallas Cowboys and he will not back down. Simple. Grugier-Hill is a pioneer from the proven talent discovery platform in football. A non self-centered valued contributor to a Super Bowl winning team who is an up and coming star in the league. If the Eagles pull off the upset, everyone will know who Grugier-Hill is. -Minnesota Vikings wide receiver Adam Thielen look to propel his squad over the Seattle Seahawks Monday night to stay in the playoff race. -When the Indianapolis Colts venture to Houston to take on the Texans, cornerback Kenny Moore II is expected to make things difficult for their wide receivers. Watch how Moore will match up get them. -The Atlanta Falcons match up against the Green Bay Packers at the “Frozen Tundra.” In this showdown, NFL Regional Combine pioneers will be all over the field. Packers wide receiver Trevor Davis had his first career touchdown against the Falcons. Will he score against them again? Will Packers tight end Robert Tonyan cross the goal line for the second time this season and Falcons wide receiver Marvin Hall finally take one to the house? Check it out. Will Chicago Bears defensive tackle Roy Robertson-Harris be disruptive against the Los Angeles Rams and will the kicking specialists of the Rams in punter Johnny Hekker and kicker Greg Zuerlein be effective against the elements? Week 14 will be something to watch.